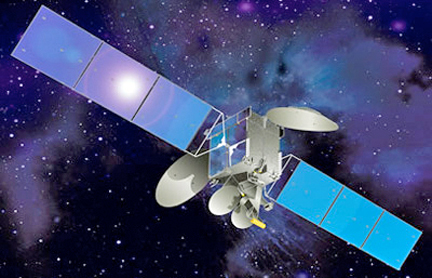 Artistic rendition of the AsiaSat-5 satellite. Arqiva has extended their lease for C- and Ku -band capacity with Asia Satellite Telecommunications Company Limited (AsiaSat ) for sports content delivery across Asia-Pacific. The agreement will see Arqiva’s continued use of AsiaSat-5 to deliver a broad range of sporting events to Asian viewers, from football and cricket, to volleyball and tennis. The new agreement also provides Arqiva the option of using Ku-band capacity on AsiaSat-7, allowing for additional flexibility in the deployment of smaller antennas for occasional use and live events. Arqiva’s expanded collaboration with AsiaSat demonstrates the latter's capability in presenting a wide range of satellite capacity of the quality and penetration that meets clients’ distribution needs. AsiaSat’s ubiquitous coverage now plays an essential role in Arqiva’s global content delivery network . 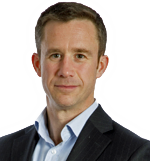 David Crawford, Managing Director, Satellite and Media at Arqiva, remarked that in addition to the company's continued commitment to provide services in the APAC region, this lease extension with AsiaSat gives Arqiva and the firm's customers true flexibility for future live events. This on-going strategic partnership with AsiaSat reinforces the company's commitment to providing premium occasional use services in the market. 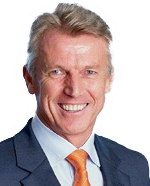 Barrie Woolston, Chief Executive Officer, AsiaSat. Barrie Woolston, Chief Commercial Officer of AsiaSat, added that his firm is delighted to support Arqiva with an expanding range of high quality capacity, enabling Arqiva to enjoy great flexibility and efficiency for delivering the best possible content distribution solutions to clients, alongside the benefits of AsiaSat satellites’ strong penetration in the Asian TV market.